Our skin is the largest and one of the most important of our organs. It is easy to neglect skin care--and sometimes you might get away with it--but wintertime can bring that abandonment to light. Dry, cold and windy conditions are thieves and may rob your skin of the moisture it needs. During the summer there is plenty of media coverage on skin protection. In sunny July, skincare becomes a necessity when you’re outdoors. The cooler months cause similar concerns, as the cold temperatures test your skin indoors as well. You may be asking, what does my furnace have to do with my skin? Probably more than you think, actually. It’s not necessarily the heat, but rather the dehumidifying of your home that leads to problems. Dry air (humidity levels below 55%) will likely draw moisture from your skin. Your skin naturally produces oils to guard against dryness. When those oils are removed, the damage is expedited. Perspiration boosts production of natural lubricants, and if we’re not sweating it decreases. Those long, hot showers and scented soaps we love easily strip what little oils we maintain in wintertime conditions. The best armor for your skin this time of year is moisturizing. It’s a good idea to apply moisturizing cream (even on areas covered by clothing) whether you're outside or not. Products with glycerin and dimethicone are best. Glycerin works to moisturize the tissue and dimethicone forms a seal. Use a product that allows your pores to breathe and contains an SPF rating of 8 or more on your face. Sunlight is damaging in the winter too and its reflection from snow compounds the problem. Be sure to use lip balm with an SPF as well. It’s common to have a flaky scalp when your skin is dry. Baby shampoo is a great solution. A product like this is a good fit because it removes oils from our hair, but is mild enough to leave your scalp lubricated and healthy. Ultimately, safeguarding your skin in the winter means maintaining a healthy level of hydration. Drinking plenty of fluids is imperative. If your body is dehydrated you will fight a losing battle regardless of the moisturizing creams, shampoos, etc. 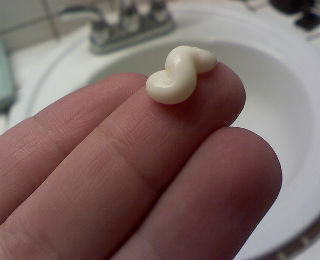 If you have some dry spots on your skin, talk to your pharmacist about using an over-the-counter hydrocortisone cream. Application to the affected area may get you healthy again. If the problem persists or grows in severity make sure you see a physician. Come see our active retirement community at Kendal at Oberlin and learn more about our vibrant senior living! Schedule a tour today!